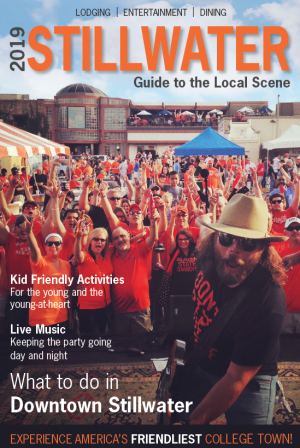 Planning a vacation to Stillwater, OK is effortless with the Official 2019 Stillwater Visitors Guide. Filled with top notch restaurants, hotels, and attractions – you will know where to be and when, to make your trip the most memorable experience for yourself and your loved ones. Highlight attractions, dog-ear your favorite pages, and bring it with you on your next trip – the Stillwater Visitors Guide will be the perfect carry-on for your visit to America’s Friendliest College Town! Need immediate gratification? Request a digital copy of our publication to get started planning your trip today! Your privacy is important to us and your information will never be sold or shared with any other organizations. If you choose to receive our monthly eNewsletter, you are opting to receive promotional email communications from Visit Stillwater. You may unsubscribe at any time.